Weather Shield windows come in a variety of wood, composite, clad-wood and vinyl windows. The manufacturer offers solutions for homeowners interested in any type of window replacement project and just about any type of window. They offer full replacement windows, pocket replacement windows and tilt-sash replacement windows. They also offer custom fitted design and a variety of feature options to choose from. Weather Shield offers custom windows that can be ordered in all wood, all vinyl, vinyl-clad wood or aluminum-clad wood designs. Weather Shield offers custom windows, as well as patio doors that can be ordered in all wood windows, all vinyl, vinyl-clad wood or aluminum-clad wood designs. They also offer features such as impact resistance and insulation. Weather Shield windows meet the building needs of both residential and light-commercial properties. Some products are designed to also meet specific needs, such as installation in hurricane-prone or high intensity wind areas. Replacement windows can be custom ordered to exactly fit the dimensions and properties of existing windows for ease of installation. Two of the most popular product lines are the Custom Shield and Retrovision lines. Here is a run-down of each product line to make the process of deciding which one is right for you easier. These windows offer a frame-within-a-frame design that is custom-made to fit within existing window openings. This allows them to be installed without having to make any modifications to the existing wall – even the trim can remain intact! Within this line, there are two options – tilt windows and casement windows. The tilt windows are designed to fit into double-hungs. In addition to both sashes sliding up and down to let in air, you can also tilt in both sashes for easier cleaning. Casement windows are designed to swing open for ventilation and cleaning and the Custom Shield® line of casement windows opens completely to a 90 degree angle. Both tilt and casement windows can be combined together or with other window types (such as picture windows) to create other window designs, such as bows, bays and more. If you are looking for an economical option that still offers quality and good looks, then the Retrovision® line may be for you. These windows are manufactured from uPVC vinyl that is strong and durable, yet affordable. Discover more on uPVC windows. Consumers can expect to pay b/n $350 and $750 for these windows installed. This prices includes professional installation and the window itself. 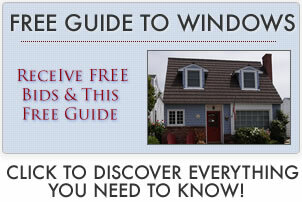 For more detailed pricing information from past customers, see Weathershield windows prices. This is the most labor intensive of all installation methods but also offers you the most flexibility in what the finished product will look like. With this method, the entire window including the frame and all interior and exterior trim is removed and a completely new window made to fit the opening’s specifications is then installed. With this method, the frame of the old window remains intact, as well as all trim. Just the sash is replaced and it is custom made to fit into the existing window frame. As an added bonus, these can be ordered with tilt-sash replacements. This option not only replaces a new, fully assembled sash within the frame, but provides the added benefit of offering full tilt capability for easy cleaning. Learn more on window installation cost.